The technique creates images of structures inside the body that are five times more detailed than other methods using MRI, and can also be carried out more quickly. The company’s tech is called “Sequencing by Binding” (SBB), which it says can give an “enhanced precision of nucleotide and DNA matching by leveraging the natural matching ability of the polymerase.” This decreases runtimes and boosts the number of samples per run. 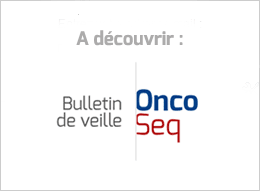 The SeqOIA GCS, which includes the Assistance Publique- Hôpitaux de Paris, the Institut Curie and the Gustave Roussy Cancer Center, communicated that it chose IntegraGen’s proposal in response to a public tender it launched in April 2018 to identify the operator of the Group’s platform dedicated to the production of high-throughput sequencing data. Guadecitabine’s failure against the coprimary endpoints eliminates the near-term prospect of the DNA hypomethylating agent coming to market as a treatment for elderly AML patients. However, the setback leaves scope for guadecitabine to advance in other patient populations, either as a single agent or in combination with chemotherapy or immunotherapy. Guadecitabine did not meet the co-primary endpoints of complete response (CR) rate or overall survival (OS) in the ASTRAL-1 study. The one- to two-year, early-stage research projects cover a range of malignancies: colorectal cancer, blood cancers and certain sarcomas. They were funded by Fred Hutch immunotherapy spinoff Juno Therapeutics, a Celgene company. Videos from the National Cancer Forum’s July 16-17 workshop on Advancing Progress in the Development of Combination Cancer Therapies with Immune Checkpoint Inhibitors are now available. Opdivo is the first and only PD-1 agent with an approved adjuvant therapy indication in the European Union. Based on these key criteria, NewLink Genetics has focused its indoximod clinical programs on recurrent pediatric brain tumors, front-line treatment of diffuse intrinsic pontine glioma (DIPG), and front-line treatment of acute myeloid leukemia (AML). The biotech has been hit by a series of shuddering blows. A year ago Roche wrote off a collaboration on an IDO dubbed navoximod after that drug foundered in the clinic. And a year before that NewLink was forced to restructure after the failure of a pancreatic cancer vaccine. Pfizer advanced mavelertinib into clinical development to meet the need for drugs that inhibit the secondarily acquired resistance mutation EGFR T790M. If Pfizer had shown mavelertinib was such a drug, it could have positioned the asset as a more selective way to target EGFR and nullify resistance. In the second quarter, Gardasil sales grew 26% at constant currencies to $608 million, leading a vaccine franchise that chipped in more than $1.5 billion for the pharma giant. Gardasil should continue on its upward trajectory as well, executives figure. Herceptin was developed by Genentech and was the 5th best-selling drug globally in 2017 with sales worth €5.9 billion. The radiotherapeutic drug, approved Monday afternoon to treat life-threatening neuroendocrine cancers pheochromocytoma and paraganglioma, will roll out with a sticker of roughly $147,000 for one therapeutic dose, bringing the total cost of treatment to just under $300,000, executives said on a Tuesday conference call with investors. The European Commission decision marks the approval of Pfizer’s first therapeutic oncology biosimilar. Nearly one-fifth of men with metastatic prostate cancer whose tumors were resistant to hormone therapy subsequently developed an aggressive prostate cancer subtype, a new study has shown. Men with this subtype, called treatment-emergent small-cell neuroendocrine prostate cancer (t-SCNC), appear to have shorter survival than men with other subtypes. Only £350 million – five per cent of the NHS' cancer budget – is spent on radiotherapy. This is considerably lower than the nine per cent budget for Australia and the European average of 11 per cent. Set this against the £160 million budget for herceptin, which is a breast cancer drug used to treat 15-20 per cent of patients.